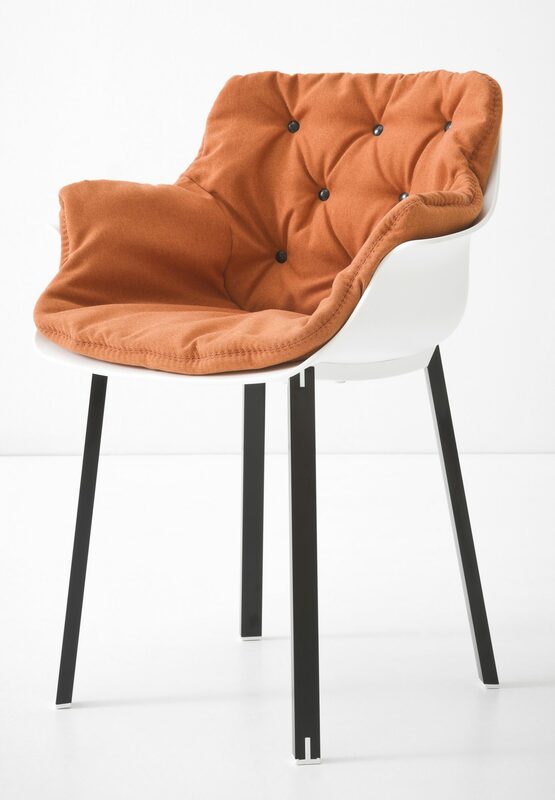 This armchair is suitable for both indoor and outdoor use. The Plastic shell comes in 8 different colours – White, Red, Black, Grey, Orange, Light Blue, Green and Turtle Dove. With a choice of three different style legs – Beech, Plastic or Metal. 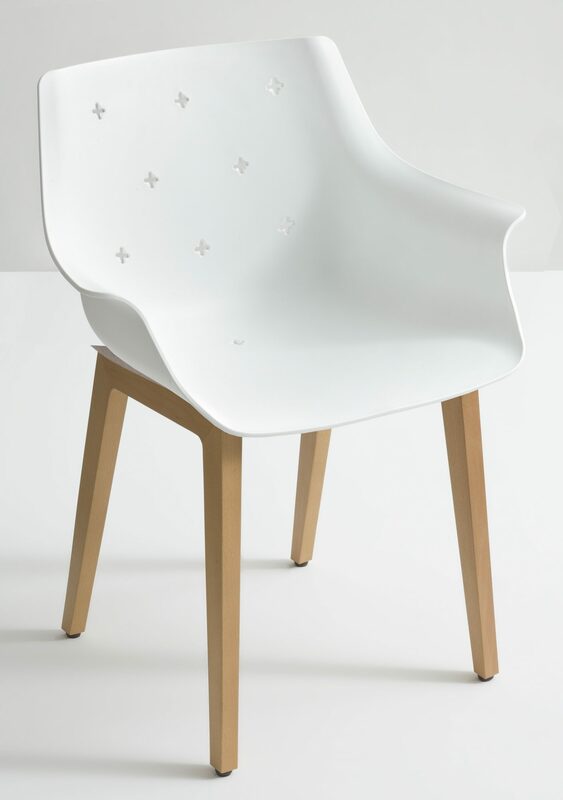 Also available with a cushion upholstered in Fabric – only suitable for indoor use.